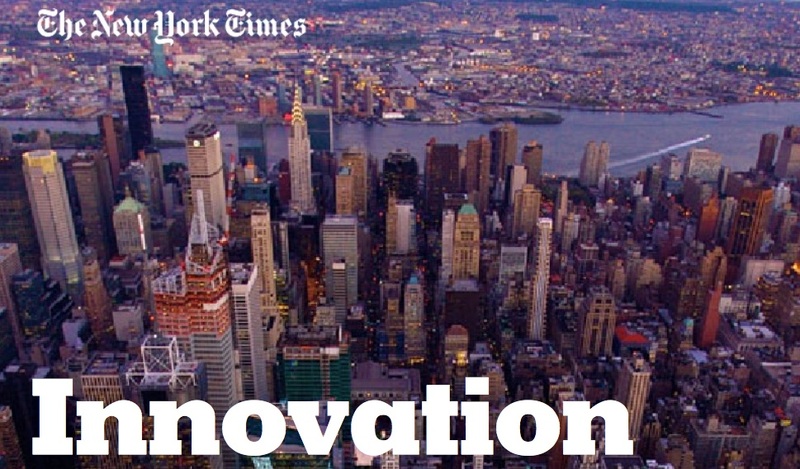 The New York Times’ Greatest Challenge? Hint: It has little to do with writing and much to do with digital strategy. This spring Nieman Lab leaked the publication’s Innovation brief, reflecting the NYT’s greatest stresses, losses and challenges moving forward. Their primary objective is made clear from the beginning: Discover “the art and science of getting our journalism to readers.” With daily production of over 300 URL’s, their newsroom is constantly churning out quality content, but many hours of labor go unread. The content that does circulate thrives on their competitor sites such as BuzzFeed, Circa, ESPN, First Look Media, Flipboad, The Guardian, The Huffington Post, LinkedIn, Medium, Quartz, Vox, and Yahoo News. In total, the report highlights a dozen competitors. Of those, almost 50% are aggregator sites, and 25% specialize in curating content collections. Given that much of their competition stems from platforms that don’t produce original content, one begins to wonder what matters more: what an article says or where it’s published. I say this with high expectations and deep love for the New York Times. I think their “daily newspaper designed for the web” initiative is a brilliant innovation that de-clutters the reading experience for anyone who enjoys grazing the paper via laptop. My fear is that news “grazers” are dwindling due to a lack of time. It is easy to see the value in content customized to one’s personal interests, which explains why sites like Flipboard are gaining such traction. As the brief explains, journalism is in an era of experimentation. That said, in an age of always wanting “now” content the New York Times’ greatest weapon might be their archived content. In one section of the brief, readership research suggests a correlation between content type and an articles’ relevance. Stories labeled under Culture and Art had the most evergreen traffic. The notion that news becomes outdated before it can even be printed, express the tension between reporting what’s happening verses shedding light on why it’s happening. The New York Times seems to specialize in the later, so why not own that space and stop worrying so much about time? My two cents: Maybe news articles should be organized less by timeliness, and more by subscriber interests.